It was a cold, snowy night in February of 1975. Eight friends were out for a social evening. The talk centered around the cold, long winters on Cape Cod and looking forward to summer. Eventually the subject turned to the need of fireworks to celebrate our country’s birthday. Thus the Falmouth Fireworks Committee was born. Back then Google was not around, and no one had any idea how to even begin such an undertaking. So we started making some calls to the Selectmen, The Fire Dept, Police Dept., and DPW. They all seemed to be on board with our idea. We decided, for safety reasons the show should take place from the water. So we decided to contact Ralph Packer of R.M. Packer Company, Inc. from Martha’s Vineyard mostly because he had a barge. To our amazement, Ralph donated not only his barge but an entire crew to assist us. We started doing some research and getting bids from fireworks companies. It was decided to go with Zambelli Fireworks out of Pennsylvania. Even though we had no money it was decided to go with a $7500 show. So with a zero bank account balance we went begging and as always is the case in Falmouth, the people came through. After just a couple of fundraisers, not only had we met our goal, but we also had a surplus of $1500. The evening of the Fourth of July, that same year, the committee met at the ball field in Falmouth Heights. The evening was beautiful and calm. There were hundreds of boats surrounding the barge, along with the thousands on the seashore from Nobska to Menauhunt. At 9:15 PM the town of Falmouth began a tradition that is now going into our 38th year. After 3 years with Zambelli we put the show out to bid again. Steve Pelkey, owner of Atlas Pyrotechnics won the bid and much to our great pleasure has given Falmouth more than we could ever imagine. 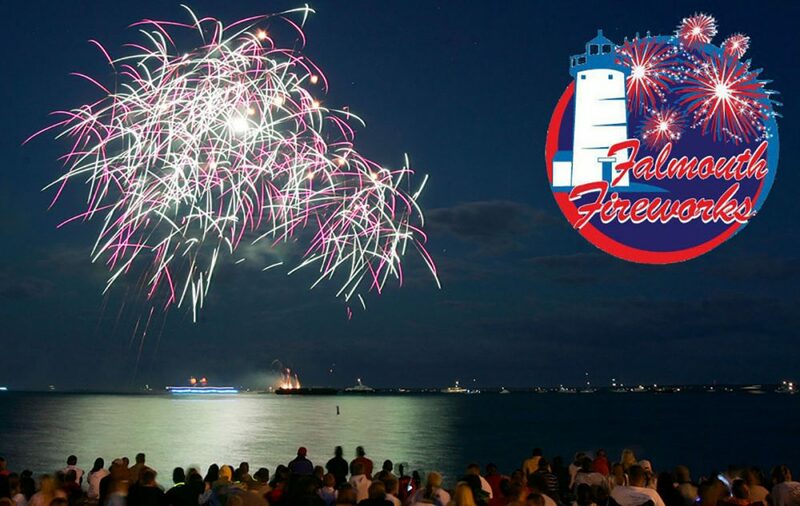 Committee founder, Arthur Ratsy and Dutch Drolette are part of The Falmouth Fireworks Committee and is under the stewardship of Lois D-Amelio and group of dedicated volunteers.